Michael de Albuquerque was born June 24th, 1947 in Wimbledon and was ELO's bass player and backing vocalist. He worked more as a backing vocalist during live performances than on the albums in addition to being a bass player from July 1972 to September 1974. His first appearance was with the "28 Choir" at the Royal Albert Hall, at the age of nine. He was educated in Worth Abbey, Sussex, and Downside School, Somerset, and his first professional appearance was at the Marquee in London in 1970. Michael had already played on two albums before his involvement with The Electric Light Orchestra. Together with Frank Ricotti he had released his first group's record, the Ricotti And Albuquerque album, "First Wind" in 1971. Michael who had written most of the material played the guitar on this album and was the lead vocalist. The album was very much influenced by blues and jazz, with a sleeve designed by Jane de Albuquerque, Michael's wife. In addition to his recording with Frank Ricotti, he also earned money as a session musician. Prior to and after the recording sessions for "ELO 2", Michael de Albuquerque recorded his first solo album "We May Be Cattle But We've All Got Names" which was released on RCA in 1973. He had written all the songs, played the piano, guitar, and co-produced the album. "Do Right" was released as a single, but unfortunately it did not make the charts. 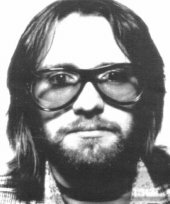 After his departure from ELO, he released his second solo album "Stalking The Sleeper" in 1976 for Warner Brothers with the reduced name of Albuquerque. This album contained his first cover version of Ray Charles' "I Gotta Woman", and own compositions like "Walking Out On Sunny Street" and "Tonight On The Highway". The album was co-produced by Michael and contained a lot of ELO-sounding strings. Three years later Michael de Albuquerque joined Mik Kaminski's group Violinski as lead guitarist and vocalist, with whom he recorded two LPs "No Cause For Alarm" and "Stop Cloning About" - for the latter he also wrote some material. In 1981, when Violinski were finished, he founded another band of his own called Sundance, with Mike Hurst (a well-known producer who in fact produced The Move's "Curly") and Mary Hopkins (Tony Visconti's wife, and also famous as a solo artist). They only released two singles, the great "What's Love" in the same year, and a cover version of "Walk Right In" in 1982. He played a lot of instruments and was also one of the lead vocalists. Those two singles were his last on vinyl to date. Mike is still playing live in the UK on a semi-regular basis. Information compiled by Marc Haines, Patrik Guttenbacher and Alexander von Petersdorff. Shortened excerpt taken from their book "Unexpected Messages" (C) 1996 FACE THE MUSIC GERMANY.